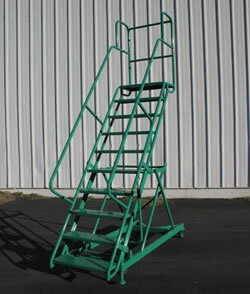 Rolastair™ Rolling Ladder products provide safe and effective access to your projects, wherever they may be. 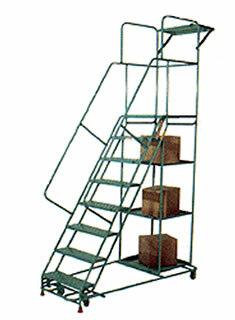 Rolastair™ ladders move to your desired location on heavy duty casters, and provide a stable work surface when in use. 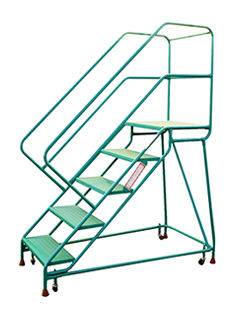 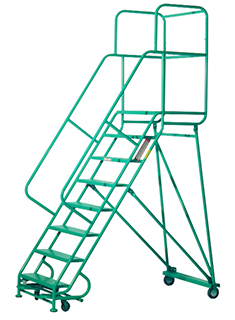 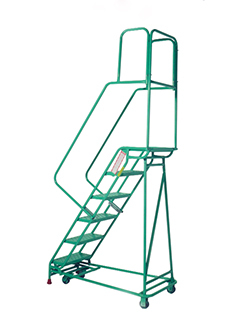 Once in position, the mobile ladder stands enable personnel to safely and effectively access various materials, projects, or equipment. 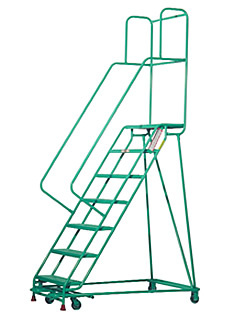 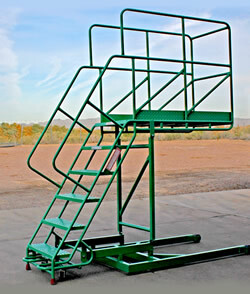 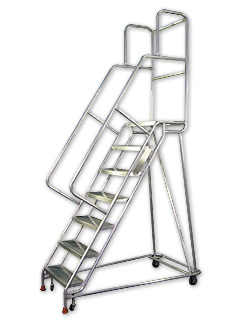 With a wide selection of custom ladder designs and features, the Rolastair family offers access solutions for both common and unique tasks.